Twenty-four hours of comedies, classic movies, westerns, specials, children's shows, dramas, adventures, and inspirational programs make up The Family Channel's schedule. Original shows comprise 27 percent of the schedule, exclusive, 27 percent. The Family Channel provides new, exclusive shows and golden oldies that can be enjoyed by the entire family--programming that is entertaining without being offensive. Its children's shows include ones that are educational and value-oriented. The Family Channel is first and foremost in providing quality programming for the nation's families. The Family Channel is the first satellite-launched basic cable network and, with its current 47.6 million households, one of the largest. It began in April, 1977, as CBN Satellite Service, a religious-only network launched by the non-profit Christian Broadcasting Network. CBN Satellite Service grew to 10.9 million homes by May, 1981. In September, 1981, the format and the name were changed. 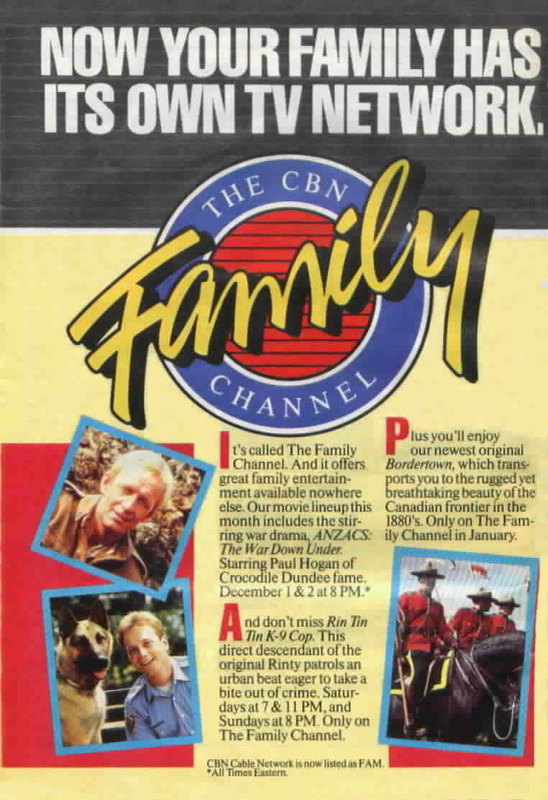 CBN Cable Network became an entertainment cable network, providing quality family programming. With this format, it has experienced phenomenal growth, from 28 million in May, 1985, to 35.8 million in May, 1987, to its current 47.6 million households. In September, 1988, the word FAMILY was incorporated into the name to better reflect the format. Since its first original shows in the fall of 1981-a soap opera and a morning news program-The Family Channel has continued to add original and exclusive product, emerging as a leader in original programming among basic cable networks. 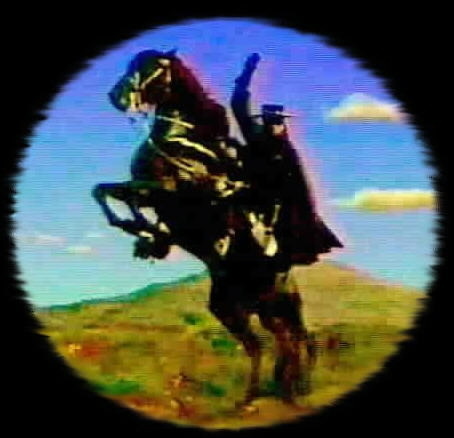 This text is taken from the press kits for "Zorro."